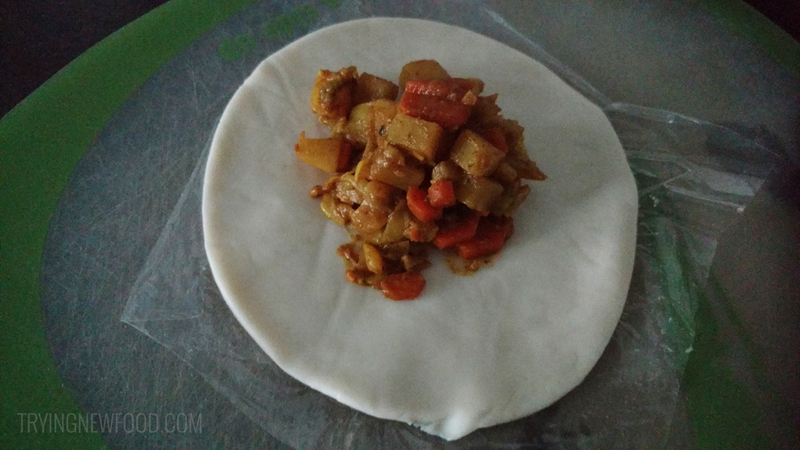 There was a lot of washing and chopping involved, so my husband handled the prep while I started cooking the filling mixture. The full recipe can be found here. By the time we got to putting the filling in the turnover wrappers, I was running out of patience. I let my husband make most of them because I felt like flinging the wrappers at the wall. They were sticky and hard to handle. Luckily the turnovers turned out okay, but after all of the trouble, they didn’t taste like they were worth the effort. When these were done baking, it was dark out — so I put some in the fridge so I could take pictures of them the next day. Take it from me, eat these all right away because they do NOT refrigerate well. They were all wrinkly and ugly; only one was decent enough to be photographed. 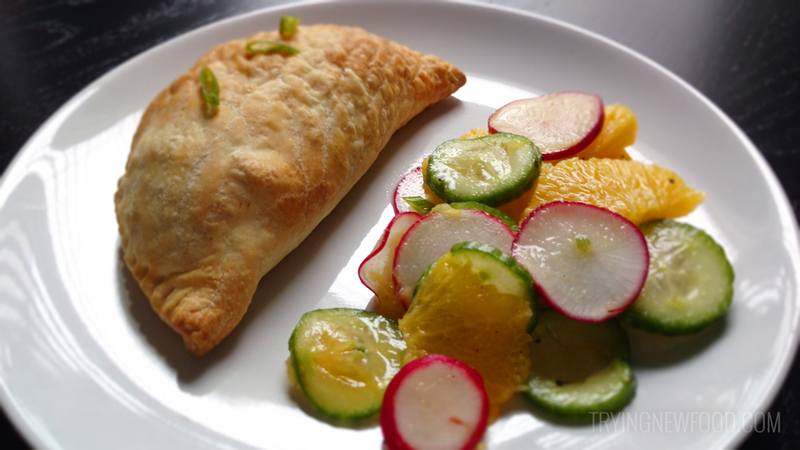 You can try out these Blue Apron Jamaican-Style Vegetable Turnovers here if you’re interested. 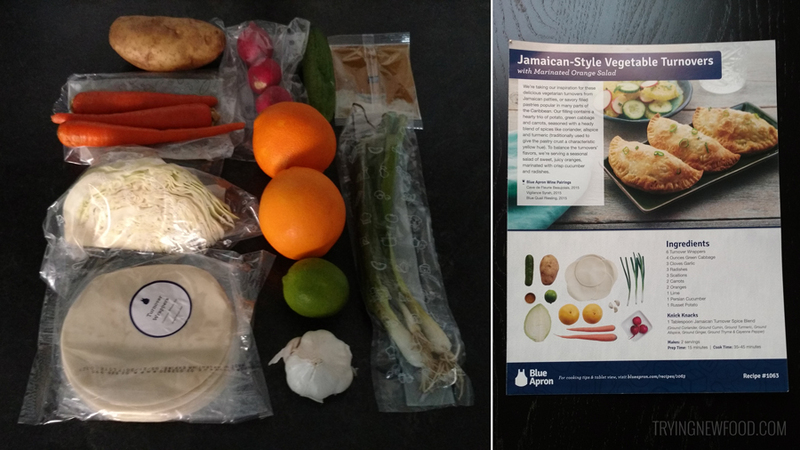 We love our Blue Apron boxes because they give us an opportunity to try new recipes we would never try on our own.